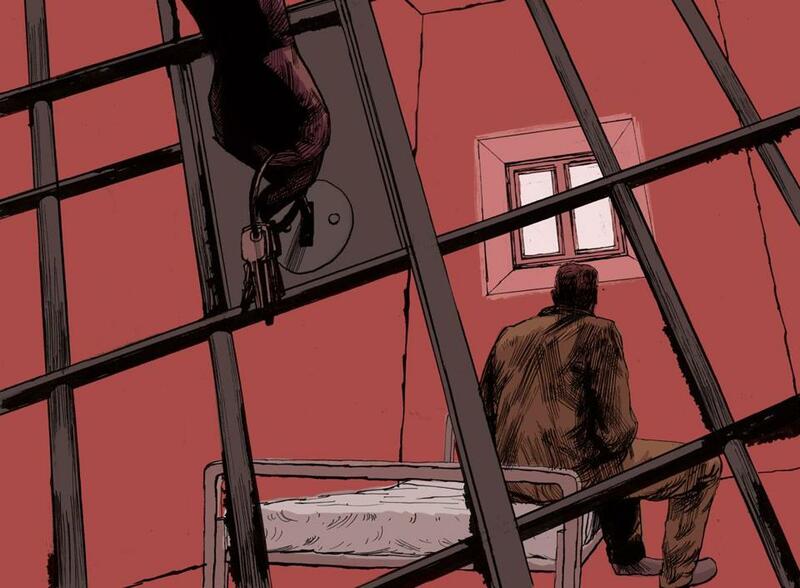 America’s prison system is embarrassingly immense. That’s one of the few areas of bipartisan agreement in our fractious politics, and the facts back it up. While the United States has less than 5 percent of the world’s population, it houses nearly a quarter of the world’s prisoners. Our prison and jail population has quintupled since the 1970s, even as crime rates are near historic lows, and American taxpayers spend some $80 billion per year on incarceration. Conventional wisdom says that two forces got us here. First, the war on drugs locked up huge numbers of nonviolent offenders. And second, mandatory minimums and other harsh sentencing laws left inmates languishing in prison for decades on end. Kentucky Senator Rand Paul, a leading voice for criminal justice reform on the right, has railed against the drug war and argued that “it is a mistake to lock people up for 10, 20, or 40 years for youthful mistakes.” And last year, in her acceptance speech at the Democratic National Convention, Hillary Clinton trumpeted an “end-to-end” criminal justice reform plan that would cut mandatory minimum sentences for nonviolent drug offenders in half. 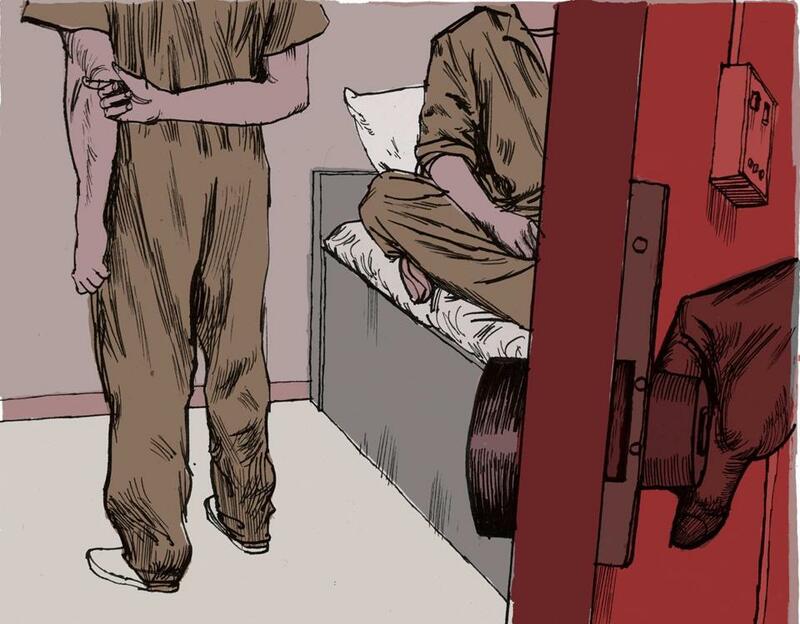 There’s just one problem: The story we tell ourselves about mass incarceration is mostly wrong. As Massachusetts and the other states reconsider their laws — Beacon Hill is expected to take up the topic soon —more and more experts are questioning the conventional wisdom, saying it yields modest reforms that are bound to disappoint. The drug war, they say, is not the major force behind America’s huge prison growth over the last several decades. In fact, less than 20 percent of the country’s 1.5 million prisoners are serving time for such offenses. Free them all tomorrow, and the United States would still have the largest prison population in the world — larger than Russia, Mexico, and Iran combined. Violent crime is a much more important driver, with almost half of prisoners doing time for offenses like murder and robbery. To make a real dent in mass incarceration, experts say, the country will have to do the difficult work of freeing more of these criminals sooner. Pfaff says the criminal justice reform movement had to start with talk of greater leniency for nonviolent offenders. It couldn’t leap right to a discussion of, say, cutting murderers’ sentences down to a European-style 10 years. But now, he says, it’s time for something more. Not all “violent crime” is as serious as the phrase would imply. In some states, burglarizing a house when no one is home is considered a violent offense. And what about the 18-year-old robber who was carrying a gun but didn’t actually use it? As for long sentences, it’s true that they play a role in driving prison growth. “Three strikes” laws, mandatory minimums, and other tough-on-crime measures have increased time served for all kinds of offenders — pot dealers and violent criminals alike. A Pew analysis of state prison data showed that prisoners released in 2009 served 36 percent longer than those who were released in 1990. But at three years, the average prison term is shorter than the conventional wisdom would suggest. Pfaff argues that the real concern is not sentence length, but serving any time in prison at all. Whether you serve 12 or 16 months, he says, the impact is the same. Upon release, convicted felons have a hard time getting decent jobs or good housing. And with the odds heavily stacked against them, they’re more likely to reoffend. The criminal justice reform movement, Pfaff argues, needs a reorientation — and a willingness to show mercy for prisoners beyond the proverbial nonviolent drug offender. That means diverting more people — whatever their offenses — away from the system, thereby sparing them from a criminal record. And there’s only one way to do that, he says: Change the behavior of the most powerful actor in the criminal justice system, the prosecutor. CHRISTOPHER WAS a high school senior in Boston with college ambitions. He worked a minimum-wage job, but it wasn’t getting him where he wanted to be. He was impatient and did something stupid. He stole 30 computers and sold them on the Internet. Then he got caught. Suddenly, Christopher found himself at the mercy of his assigned prosecutor, a stranger who could single-handedly alter the course of the teenager’s life. The prosecutor alone had the power to decide whether or not to file charges against Christopher, and which charges to pursue. His decision could lead to jail time. Prison could ruin Christopher’s shot at going to college. Most prosecutors would prosecute. That’s what they do. Over the last couple of decades, Pfaff’s research shows, they’ve become ever-more aggressive about seeking jail time. In the mid-’90s, prosecutors filed felony charges against about one in three arrestees. By 2008, it was more like two in three. One path to criminal justice reform is to changethe behavior of the prosecutor. Why are prosecutors getting more aggressive? Maybe because they’re more politically ambitious, Pfaff theorizes. They may think a tough-on-crime record can be parlayed into a run for higher office. Or maybe the police are developing stronger cases, using more surveillance-camera footage, for example. Whatever the cause, the impact has been enormous. The push to file more felony charges, Pfaff writes in his forthcoming book, is the single most important factor in the growth in prison admissions since crime started dropping in the early-’90s. One solution: legislate a reduction in prosecutorial power. Pfaff suggests creating detailed charging guidelines that would force prosecutors to steer more offenders away from the prison system. Getting that sort of thing on the books will be difficult though; prosecutors have substantial clout in state legislatures and don’t want to see their power diminished. Which is why advocates may have better luck urging district and state attorneys’ offices to change from within and produce more flexible prosecutors. Prosecutors like Adam Foss, who was just 29 years old with dreadlocks tumbling down to his knees when he got Christopher’s case. Like many of his peers, Foss had entered law school hoping to make money. But an internship at the Roxbury Municipal Court in a low-income, high-crime part of Boston, transformed him. The cases, he recalled in an affecting TED talk last winter, seemed so predictable, so preventable. So many defendants — many poor, many mentally ill — were in need of help, he said, and they weren’t getting it. The injustice of the system made him want to be a defender, he said. But the power dynamic he observed made him want to be a prosecutor. When Christopher’s case came across his desk, Foss struck a deal to prevent the teenager from getting a criminal record. Many of the computers Christopher had stolen were recovered. They worked out a plan to pay for the rest. Christopher performed community service and wrote an essay. Foss now runs Prosecutor Impact, an organization that will teach young prosecutors a different approach to justice. They’ll study up on adolescent brain development, Foss says, visit prisons and homeless shelters, and learn how to negotiate relationships with police and probation officers to take a softer line. Foss is working to pilot his program with prosecutors in Ohio, Wisconsin, Louisiana, New York, and California in the coming months. But to reach the bulk of prosecutors and all of the other decision-makers in the country’s sprawling criminal justice system, it will take something much bigger. An enormous cultural shift. A complete change in the way we talk about crime — including the violent crime on the third rail of criminal justice reform. IN THE spring of 2015, President Obama sat down for a White House chat with David Simon, creator of the HBO series “The Wire.” Obama, it turned out, was a fan of Omar Little, a stickup artist on the show who whistled a haunting version of “The Farmer in the Dell” as he meted out his a strict code of justice: hit the drug dealers, but not the innocent. Obama nodded along. The president, it was clear, was willing to see violent criminals as something more than irredeemable thugs. But, apparently, he didn’t think America was ready to do the same. A few months after his meeting with Simon, in a major speech on criminal justice reform at the NAACP’s annual convention, the president did what criminal justice reformers typically do. He asked for leniency for nonviolent drug offenders and offered tough treatment of violent offenders in exchange. Glenn Martin, who served six years in prison for robbery before founding the criminal justice reform group JustLeadershipUSA, says advocates can no longer make this bargain. They need to stop stigmatizing violent offenders, he says, and start humanizing them. Omar Little was a start. But ultimately, he says, ex-prisoners like himself will need to tell their stories if they want to pull the culture along.